Individuals with leaky gut syndrome do not absorb nutrients properly. A person’s gut which has experienced a lot of inflammation and irritation from a variety of causes will usually have holes in it. There are a number of causes which can lead to damage and deterioration of the gut’s mucosal barrier. A few of these include chemical toxicity, excessive alcohol consumption, chronic stress, infections, medications, lack of digestive enzymes, food intolerances, allergies, and nutritional deficiencies. Then we have conditions associated with leaky gut syndrome, such as gastric complaints, digestive disorders involving bloating, constipation and diarrhea as well as candidia and fungal infections. Some professionals say that, for any of us who drink harsh stimulants like coffee, soda or alcohol, we have holes in our guts. Nevertheless, when a gut becomes damaged from extended periods of irritation, as seen in the cases of gut disorders, the intestinal lining will be far more permeable than a gut would be from a normal bad habit, such as too much coffee. The problem with this scenario is that substances like gluten (the protein found in grains) will slip through these holes and into the blood stream. The body does not tolerate this protein in the blood and instructs the immune system to remove it. As many people know from taking too many antibiotics, once an invader has been recognized, the body will be on the alert for the next time it shows up. Consequently, a person who did not have a problem eating starches with gluten in the past now discovers an allergy or intolerance to the protein gluten. This condition may not be permanent, especially if the individual does not have a history of gluten intolerance. But the initial protocol will be the same (though the lucky ones may return to eating gluten products once the gut has been well healed). For example, a person may have Crohn’s disease and not be Type A – a person who cannot eat any carboydrates from a grain family, and will therefore be able to return some, if not most of the “forbidden foods” back into their diet. In such cases, any offending food or substance would need to be reintroduced very slowly, to prevent triggering an immune response. 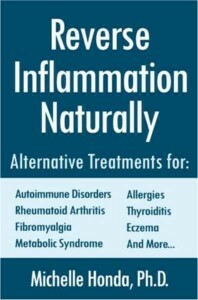 Inflammation offers its own list of problems and deficiencies, as seen in the following information. Leaky gut syndrome is well known for producing a long list of mineral deficiencies, such as magnesium, zinc, calcium, boron, silicon and manganese. L-Glutamine assists in the protection of the mucous lining of the intestines and stomach. Other lost nutrients to be considered for supplementation are coenzyme Q10, B complex vitamins (especially folic acid and vitamin B12), and selenium. The occurrence of malabsorption is initiated by inflammation and results when the transporter of proteins in the gastrointestinal tract has been damaged and is no longer able to carry minerals from the intestine to the bloodstream. An example is the mineral magnesium; even with higher levels of supplementation, when the carrier protein for this mineral is damaged, an intake of higher dosages will not compensate. Take care to replenish magnesium, since metabolic systems require magnesium to function. Similarly a zinc deficiency—a necessary component for the immune system—produces its own list of problems, such as hair loss or baldness, and may also lead to high blood pressure and high cholesterol. To dampen inflammation response in the body initially requires adequate omega 3 fatty acids. These fats are a necessary element to ensure a beneficial outcome. 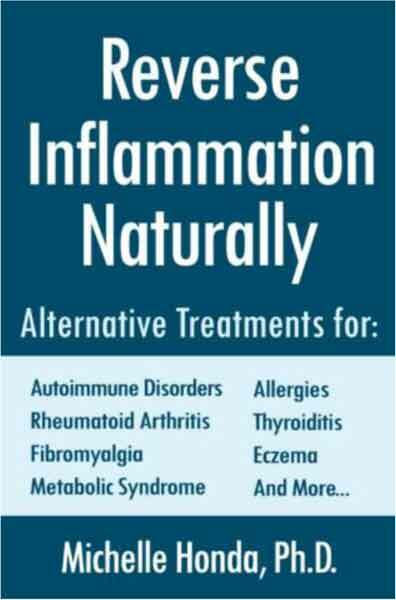 To further assist the gut in reducing the damaging effects of inflammation, the following dietary additions have proven to be of great value: Additional antioxidant supplements will prevent tissue damage brought on by inflammation. To naturally increase antioxidant levels, include foods that contain high amounts of carotenoids found in carrots, squash and yams and berries. Exotic berries, such as acai, aronia, and wolfberry have extraordinary amounts of antioxidants, as do certain plant enzymes such as those found in green kamut, barley green, and whole leaf aloe vera juice with high MPS (muscopolysaccharide) content. Bioflavonoids, available in many foods including citrus fruits, onions, garlic, peppers, buckwheat, and black currants, are also useful. Other potent enhancements are spirulina, chlorella, bee pollen and royal jelly which all aid in the repair of leaky gut syndrome. A few more examples of staple supplements would be vitamin C and E, and amino acids like cysteine, N-acetyl-cysteine, methionine and reduced L-glutathione, all of which are important antioxidants. Another area of assistance to improve nutrient absorption is with substances equipped to aid the digestive process. Such items include the pancreatic enzyme, proteolytic enzymes like proteinase or serrapeptase, glutamic acid, hydrochloride, betaine hydrochloride, pepsin, apple cider vinegar, lemon juice and stomach bitters. This test will help determine how leaky your gut is. The test is called the Lactulose-mannitol challenge test, which measures the permeability of the patient’s gut. In performing this test, the patient consumes orally five grams each of the sugars lactulose and mannitol. 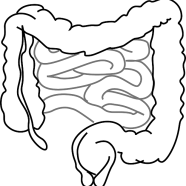 The normal ratio within the gut is less than 1 percent permeable of lactulose, to approximately 14 percent of mannitol, which is a smaller molecule. Once absorbed, the test measures urinary excretion of both sugars and then compares the ratio of lactulose to mannitol. Under normal conditions, the gut would measure less than 0.03 percent of lacutlose to mannitol, whereas a leaky gut will register a higher ratio of lactulose to mannitol, indicating a loss of lactulose across the intestinal barrier wall.